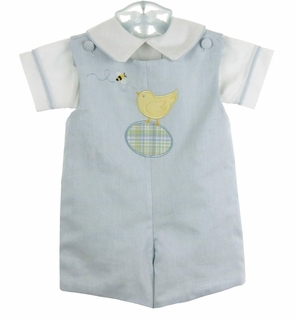 This adorable little pale blue cotton oxford shortall set is made by Glorimont, a leading manufacturer of reversible appliqued children's clothing for more than 30 years. 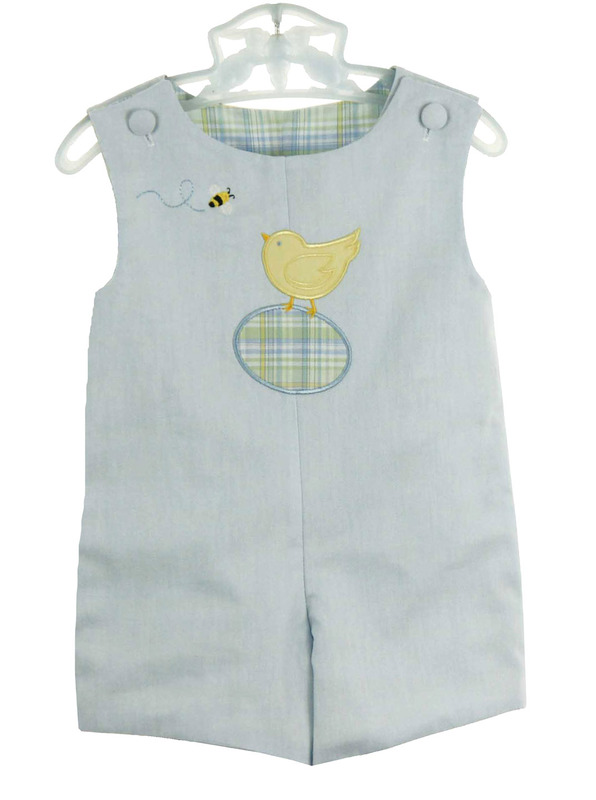 The shortall features an appliqued chick with an Easter egg and a bumblebee on the front. 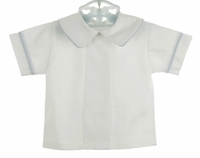 Shoulder buttons and crotch snaps ensure ease of dressing. The romper reverses to pastel plaid in blue, green, and yellow with buttoned front tab accents (see pictures below). 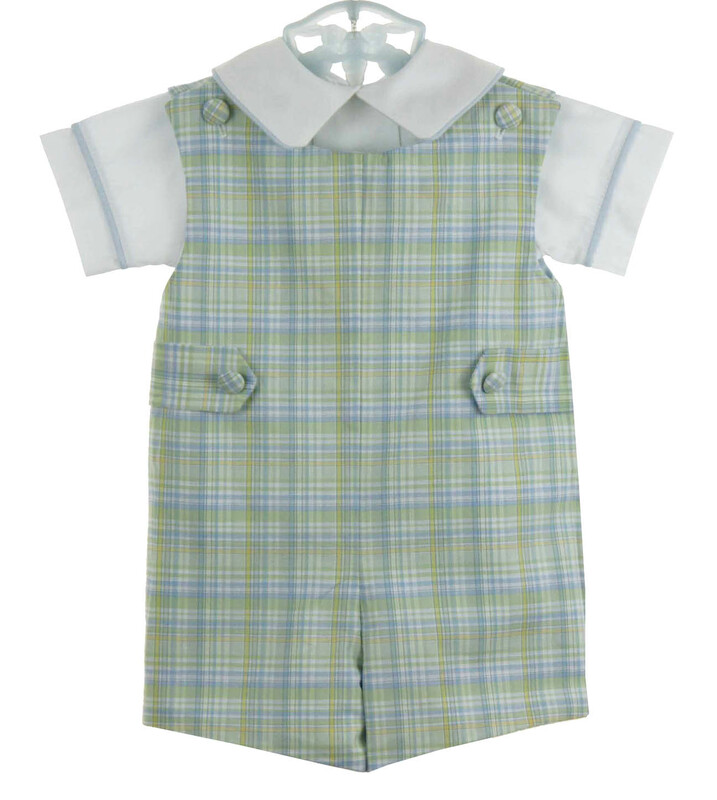 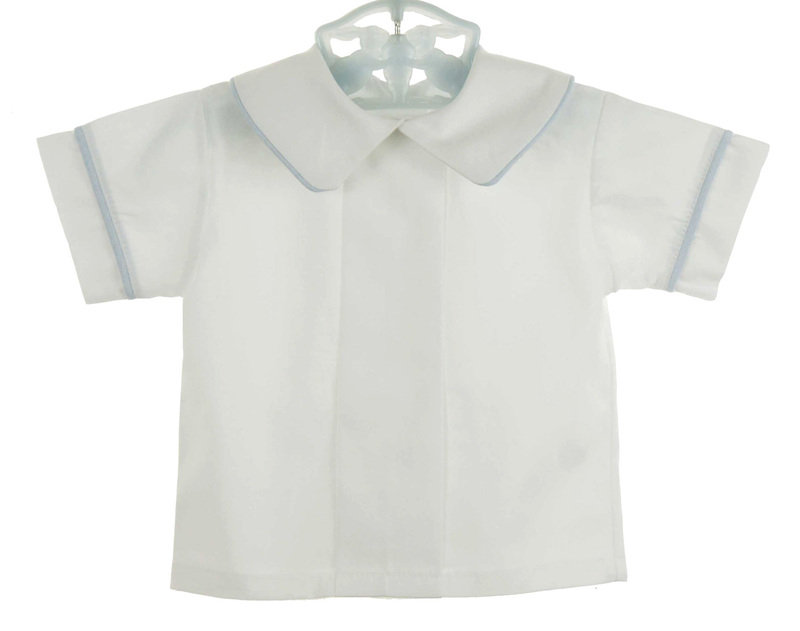 This darling shortall can be worn alone in warmer weather or with its matching white cotton shirt with a front pleat, back buttons, and blue piping trim on the collar and sleeve cuffs (pictured separately below). 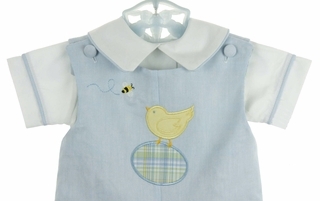 Note: Girls outfit is also available. See below.